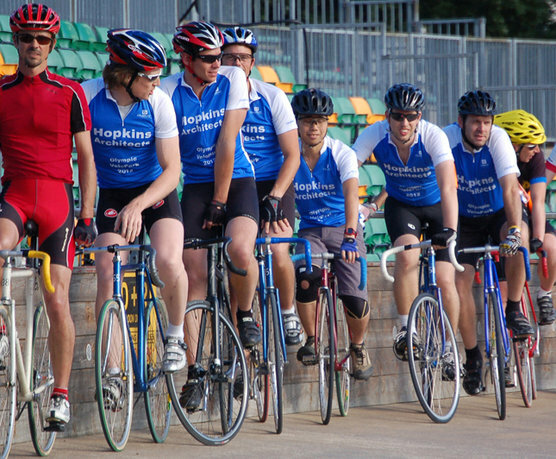 Hopkins Architects, designers of the 2012 Olympic Velodrome and Legacy VeloPark, turned on the style in Building Magazine's cycling day on the 1948 Olympic track at Herne Hill Velodrome in South London earlier this week. Around 60 people from the construction and property industries turned up for a series of races designed to (roughly) mirror the Olympic events. Individual victories in the scratch and points races, coupled with the fastest time in the Olympic Team event resulted in the Hopkins Team returning to their drawing boards as winners of the overall title.